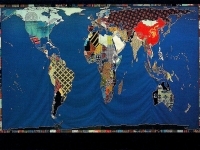 I was working in the International Classroom program of the Education Department at the Penn Museum when I conceived of this map to provide a stimulating, educational, interactive visual to an otherwise barren children’s lunchroom. 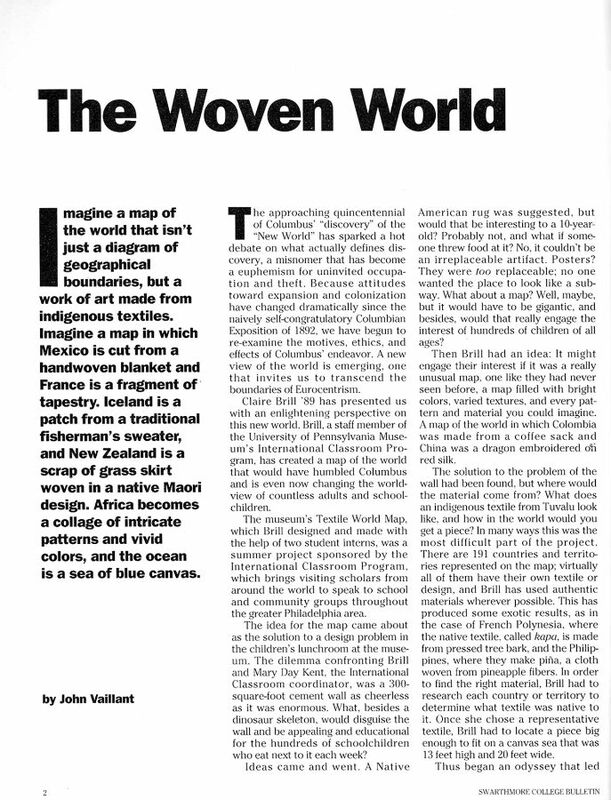 After experiencing the riches in the galleries visiting school groups, I thought, deserved a similarly enlivening experience during lunch. 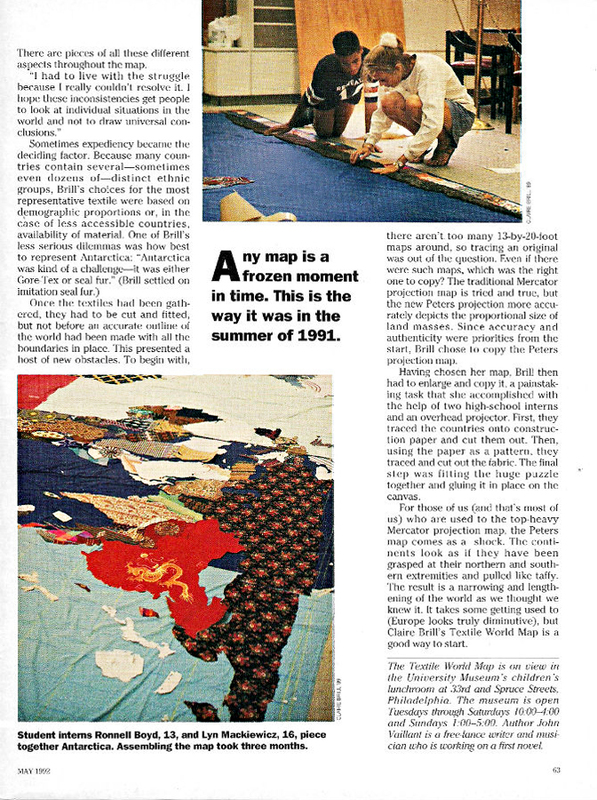 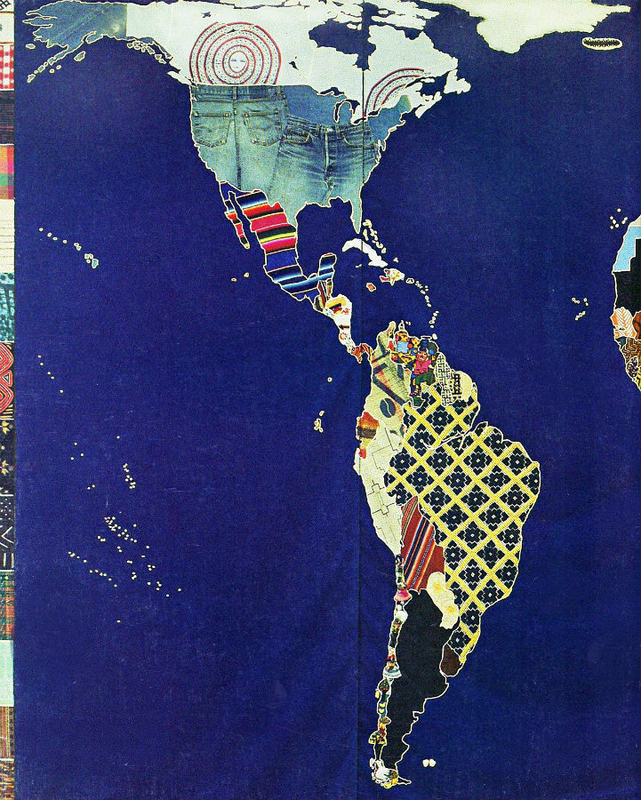 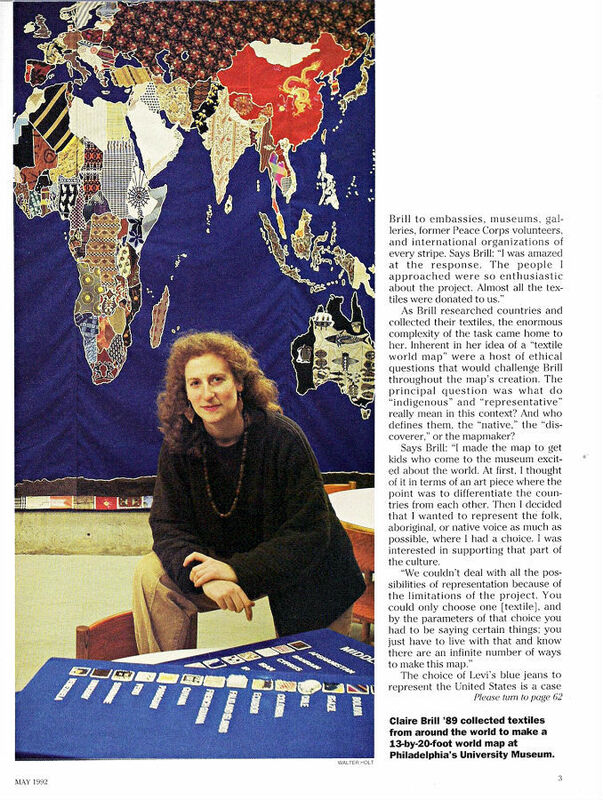 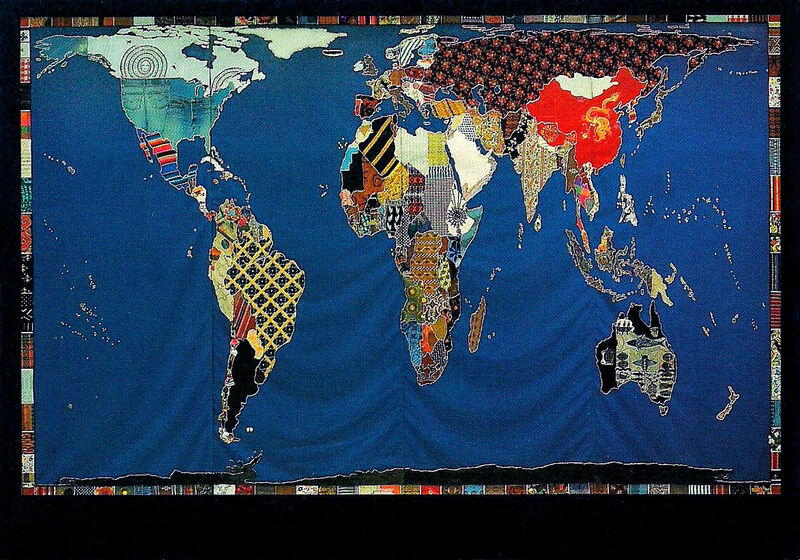 I used textiles from, or representative of, each country which I obtained primarily from returned Peace Corps Volunteers. 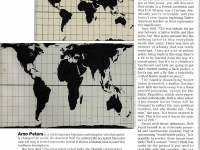 The map is Arno Peters’ equal area projection in which each country takes up its actual amount of space although the shapes are somewhat distorted. 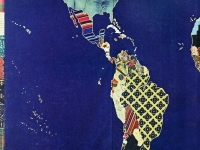 The border “explains” the projection in that each piece of fabric represents ten degrees. 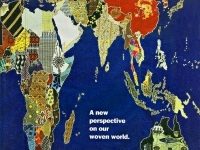 The message of the project is that all people are the same; we all make and use fabric. 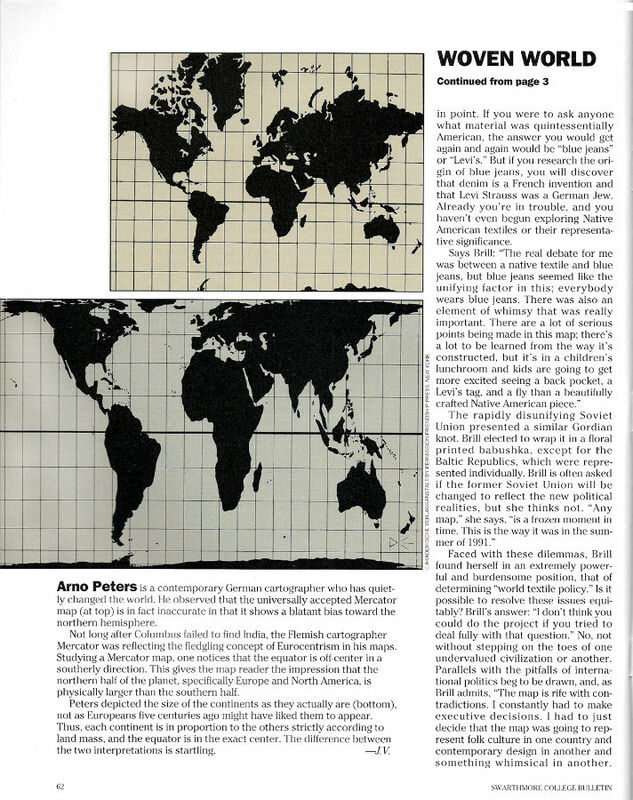 I wanted the process to mirror the message so I hired two teenage interns from very different backgrounds. 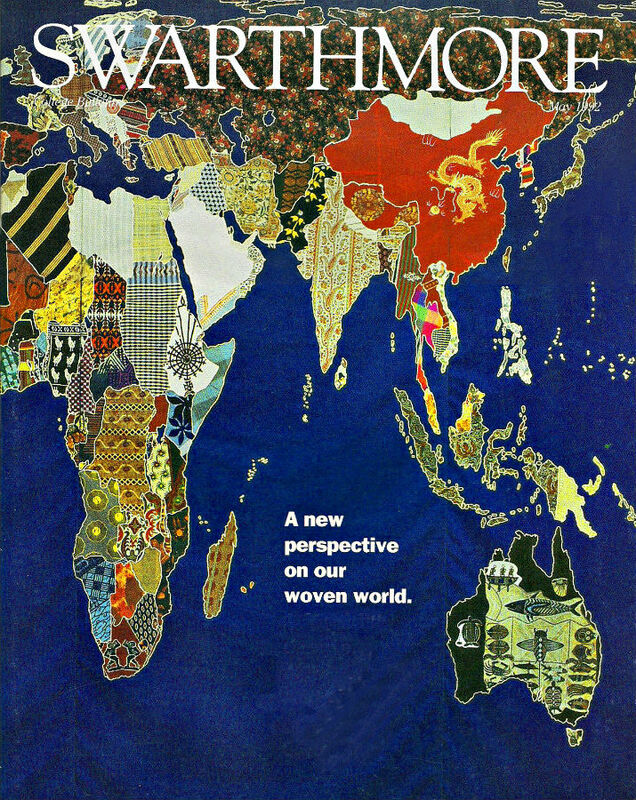 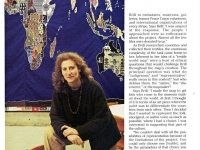 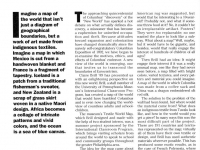 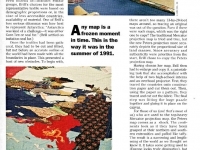 Read more in depth in the Swarthmore College alumni magazine from 1992.